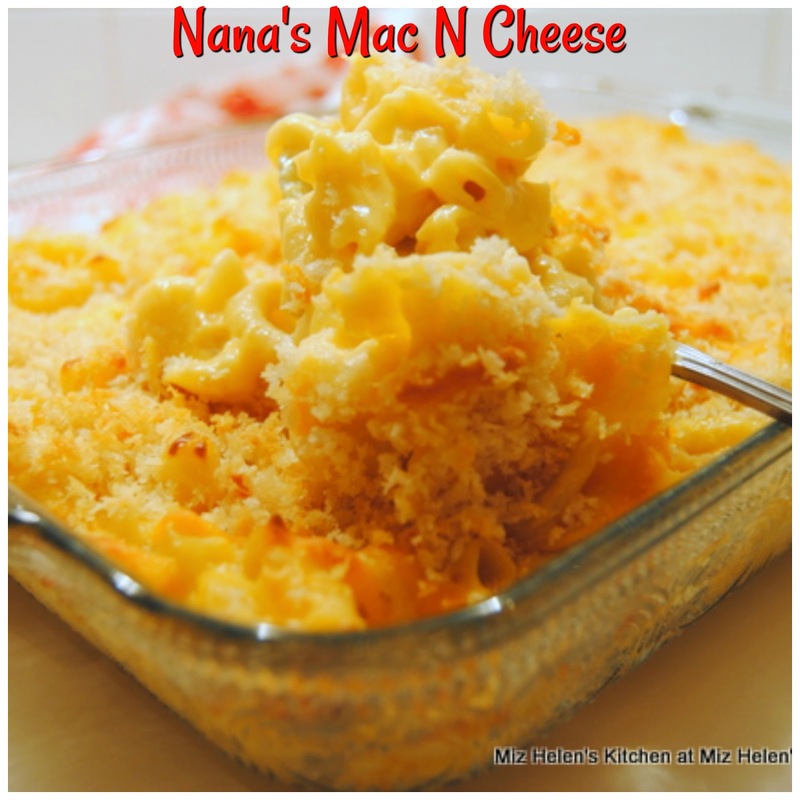 I was helping one of my Granddaughters with some recipes the other day and she wanted my Mac N Cheese recipe. After she asked me for it I realized that I did not have it on my blog yet, so I got busy and am posting it today. I can't remember how many years ago I started making this recipe, but through the years I have changed it from time to time as new ingredients come on the market, but the basics of the recipe have remained the same. 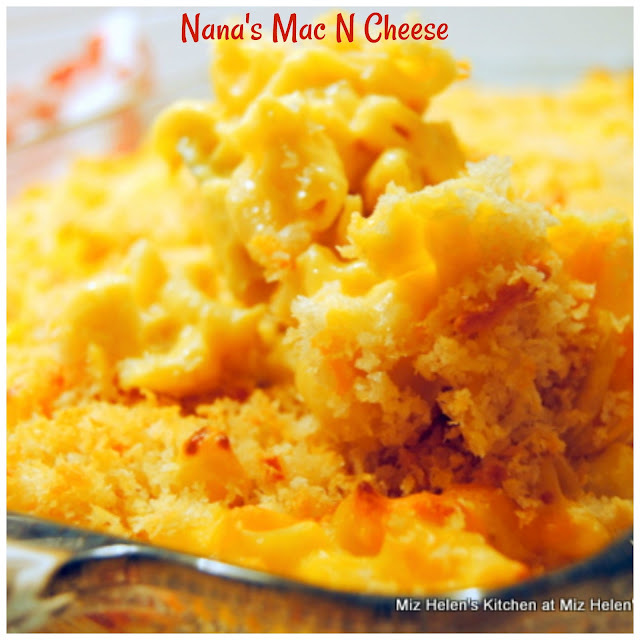 We still love our Mac N Cheese and this is definitely one of our family favorites. Cook the macaroni according to package directions, drain and set aside. In a small mixing bowl, mix the flour, dry mustard, salt and pepper. In a sauce pot melt 1/2 cup butter, then add the flour mixture and stir until completely blended. Gradually add the milk a little at a time until it is all added and completely blended with the flour mixture and it is beginning to thicken. Gradually add the processed cheese and then the cheddar (reserving 1/4 cup of the cheddar for the topping) until it is completely blended and the sauce is smooth. Add the sauce to the cooked macaroni and stir well. Pour the sauced macaroni into a buttered 9X13 baking dish. In a small pan melt the remaining butter, 1/4 cup of the cheddar and then add the panko crumbs, then mix well. Sprinkle the buttered panko crumbs on top of the sauced macaroni. Bake in a 400 degree oven for 20 to 25 minutes just until starting to turn golden brown on top. To my precious Granddaughters and their children, this is the recipe that you would always ask for when you came to Nana's house, and of course I made it for you! Thanks so much for stopping by the cottage to spend some time with us today. We love going down memory lane and sharing the love with you. Hope you have a fantastic week and come back to see us real soon! Your recipe is just like mine Miz Helen except for the Panko topping. I will have to add it, its sounds like a wonderful addition! Homemade mac and cheese is the best. That looks so good, Miz Helen. It looks delicious! I am a mac and cheese fanatic! Thanks for joining the What's for Dinner party! Hope we see you every week. Have a wonderful day. We love Mac and Cheese with real cheese. Your recipe looks fabulous. Thank you for sharing at Over the Moon. I think it is wonderful you are passing your family recipes down to your Granddaughters, Miz Helen, and I'm grateful you are sharing them with us too! Your Mac and Cheese recipe sounds so creamy and delicious. Thank you for sharing, and for being a part of the Hearth and Soul Link Party. Hope you are having a great weekend!